Visceral fat is not just ugly, but also dangerous. If you have been noticing extra fat around your abdomen, then you may be at a risk of several health problems like heart diseases, metabolic issues, and diabetes. People often try to find different ways to lose tummy fat. Exercising is presumed to be the best way to losing tummy fat. However, the drawback with exercising is that the lost fat returns after some time if you stop exercising. Fortunately, you can easily reduce your tummy fat by changing some lifestyle habits and diet. The results may be slow, but they will last long. All, you need to do, is eat the healthy, lead a stress-free life and discipline oneself. Here are some simple and effective tips to lose tummy weight around the waist without exercising. The easiest way to lose fat, is by burning calories. To burn a pound of stomach fat in three months, you would need to lose 500 calories a day. Do not eat too much of junk and oily foods. Eat high fiber foods instead. The high levels of fiber in these foods will take a long time to digest, keeping you satiated for the longer time. Water flushes off the toxins that contribute to unwanted weight gain. It also speeds up the metabolism, helping you with the digestion of food. Drink two to three liters of water every day to get rid of visceral fat the earliest. If you do not like plain water, then squeeze a lemon in it. Lemon juice can help you reduce weight effectively. Drink a glass of water before every meal. This will take a room in the stomach, preventing you from overeating. Alternatively, you can also take sips between the meals to keep from overeating. You can also consider herbal tea to lose weight from the midsection. Do not consume alcohol, colas or any other drinks that contain calories. Green tea is one of the best natural drinks to lose weight from your tummy. It contains catechins, a compound that increases fat metabolism in the body. This makes it a lot easier to shed fat from the stomach. You can also squeeze a lime to speed up the weight loss process. Besides, green tea is rich in antioxidants as well. Antioxidants are extremely beneficial to the health and prevent the onset of several diseases. Reduce your portion size, even if you love the food. Eat 3 to 5 small meals rather than binging at a time. This will keep the blood sugar levels at optimal level. Eat only if you are hungry, not when you are happy or sad. Comfort heating is one habit that you should get rid of. Also, eat at least two hours before going to sleep. Going to sleep just after having dinner can cause health issues like heartburn and poor sleep. It also leads the body to accumulate unnecessary nutrients that are transformed into body fat. Divide your meals into smaller morsels while eating. Also, avoid taking large bites. Take a time to chew your food. This will have positive effects on your digestive system. It will also help the nutrients to assimilate in a better way. An imbalanced diet and a sedentary lifestyle are the biggest reasons for fat buildup in the abdomen area. Therefore, the best way to get away with visceral fat is by following a balanced diet. Follow a diet that is rich in fruits, vegetables and whole grain. The nutrients present in these foods will suppress your appetite, preventing fat buildup in the abdomen area. 6. Stay Away From Fried And Junk Foods. If you aim to lose the tummy fat without exercise then you have to say goodbye to junk foods like pizzas and burgers. You diet chart should include non-starchy foods. Junk foods contain high levels of starch that cause bloating in the middle section of the body. Simple carbohydrates are digested easily in the body, making you hungry after sometime. Eat complex carbohydrates instead of simple carbohydrates. Vegetables are one of the best sources of complex carbohydrates. They are full of fiber and water, which ease the digestion and flush out the water from the body. In addition, complex carbohydrates keep you full for a longer period. Berries contain anthocyanin, a plant chemical that helps to burn abdominal fat. Not to forget the essential minerals and vitamins that come packed with these vegetables. Try to get your hands on organic foods and vegetables. Breakfast is the most important meal of the day. Studies have shown that eating a healthy breakfast jump-starts the metabolism, keeping you fit throughout the day. You can eat as much as you want for breakfast. This does not mean that you can eat fatty and high sugary foods for breakfast. Start your day with a high protein breakfast to keep yourself satiated until lunchtime. A high protein breakfast will also help you build muscles. Do not skip meals. Starving for a long period puts the body into the catabolic state, leading it to break muscle tissues. This leads to conservation of fat in the body. Most of the fruits and vegetable burn 10 to 15% of the total calories you take. The energy is used to absorb protein and break down the fats, carbohydrates, and other nutrients. Foods, that burn calorie in the chewing and digestion process, are called negative calorie foods. A negative calorie food creates a calorie deficit in the body, helping you lose weight. Drinking too much of alcohol can lead the body to burn 36% less fat by inhibiting the hormones that burn fat. Alcohol also contains empty calories, which leads to a build up of fat in the abdomen region. You can try drinking red wine instead. Red wine contains Resveratrol, an antioxidant that can help you with tummy fat. Drink a small quantity of red wine two to three times a week for best results. Even smoking can increase the risk of storing abdominal fat. Apart from following a healthy diet and lifestyle, you can also try some natural supplements. Natural supplements have been proven successful in eliminating the stomach fat. Some of the best supplements for tummy fat reduction includes Green coffee bean, L-Carnitine, and Garcinia Cambodia. Make sure you research on the benefits and side effects of each of the supplements before using them. Cortisol is a hormone that makes it difficult to lose tummy fat. When we take too much stress, our body secretes cortisol that leads to the buildup of fat that surrounds the organs in the abdominal cavity. It also stimulates insulin release and fat and carbohydrate metabolism. 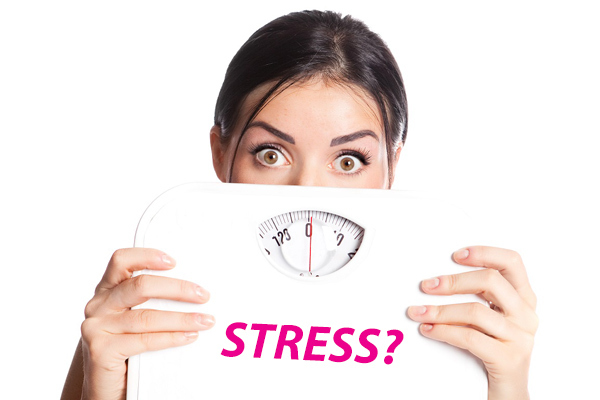 Hence, keep yourself stress-free if you want to reduce the tummy fat quickly. You can indulge in stress reducing activities like listening to music, meditation, deep breathing or taking up a bubble bath. People who sleep well tend to feel sluggish, which leads to overeating. Thus, 7 to 8 hours of sleep is very important in weight management. Also, switch off your electronic gadgets like laptop and cellphone before going to sleep. The less you are exposed to electronic gadgets, the better you sleep. In addition, going to sleep too late makes the brain think that you are stressed. This leads to the release of cortisol hormones, one of the main causes of belly fat. Do not forget that if you are tired, you will not be able to do your work effectively with those brooding eyes. In order to lose your belly fat without hard-core workout, you need to keep yourself physically active. Any form of physical activity helps to burn calories. Walking is one of the best ways to get rid of stomach fat completely. It not just helps to reduce fat, but improves the overall health as well. You can also try dancing, a fun physical activity with your friends. So, keep yourself active to make your weight loss plan a success. The Last, but not the least, be serious in your goal to lose the tummy fat. Do not yield to temptation. If you see your friends or family snacking, move away from them. Remember, only a strong will and determination can help you lose weight without exercise. It is also vital to set achievable goals. If the goals set are too hard then it will become very difficult for you to lose tummy fat. So, get rid of all the bad habits and pick up the ones that can help get rid of the visceral fat. These tips may look too basic at a first glance, but the key is to combine them together. The tips will work only if they are followed together with utmost discipline and determination. Do you have any tips and suggestions to reduce tummy fat without exercising? Then share with us in the comment section.